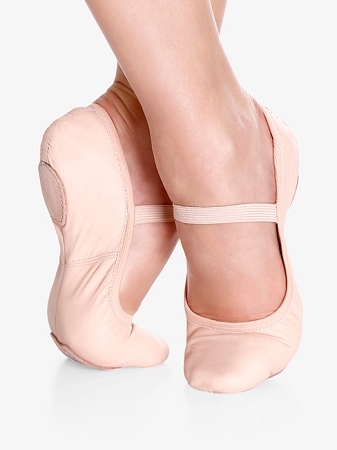 Soft leather split sole ballet shoe is perfect for both beginners and advanced ballet dancers. Features no drawstring and pre-sewn elastic. Children sizes (width A, B, C) 8S - 2.5.